Sign up and receive Property Email Alerts of Townhouses to let in Ringway, Accra. 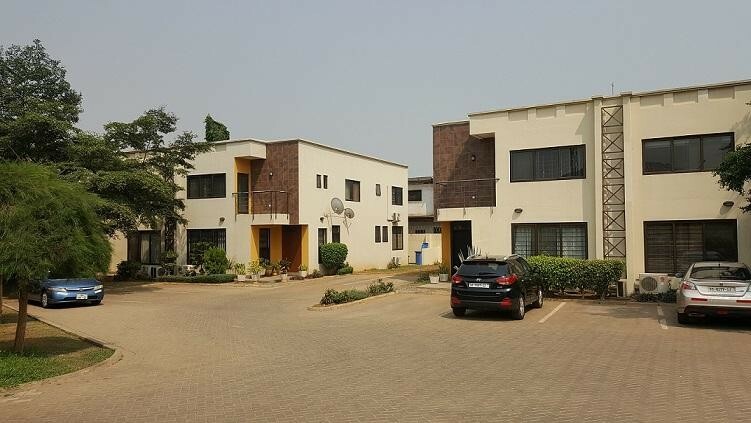 This beautifully built property is located off the Ringway Link and about a two drive away from Ghana Institute of Journalism. The property offer three bedrooms with master bedroom en-suite, spacious living/dining area, well fitted kitchen with cabinets, boys quarters and garden/lawn. Shared facilities available to the development are; standby generator, back up water supply, 24 hour security and a swimming pool. Sign-up and receive Property Email Alerts of Townhouses to let in Ringway, Accra.